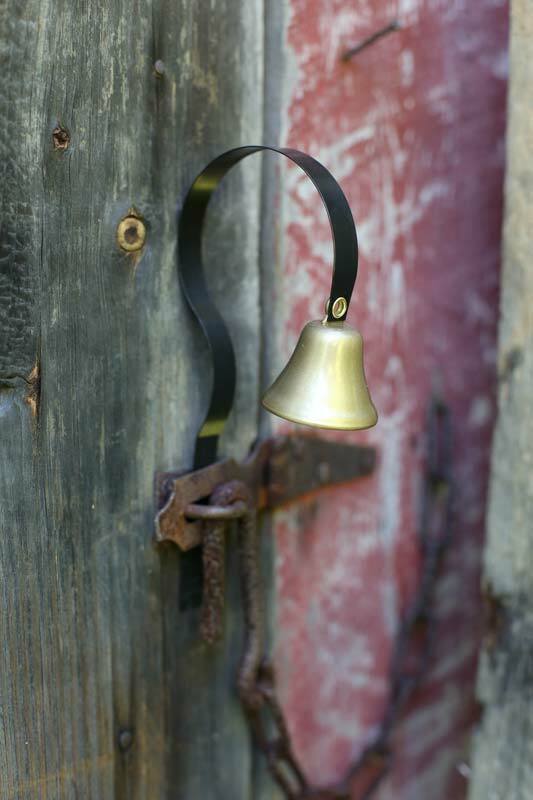 Solid Brass Bell Simply adjust angle with pliers to fit your door. Includes two gold screws for installation. Diameter 1 7/8", height 7"
This shop keepers bell is wonderful to use as an entrance or exit alert. Use this shop bell in homes, stores, gates, restaurants, pool areas, and more. It will let you know when a customer walks in with a cheerful ring. Customers will know you care with quality service every time.